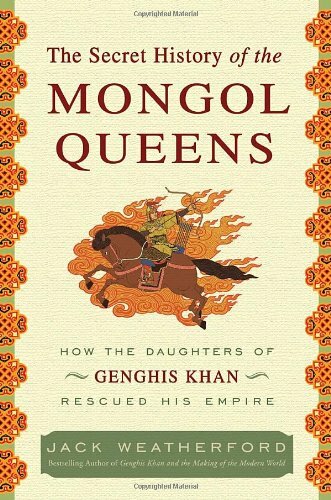 [PDF] The Secret History of the Mongol Queens: How the Daughters of Genghis Khan Rescued His Empire | Free eBooks Download - EBOOKEE! Description: The Mongol queens of the thirteenth century ruled the largest empire the world has ever known. Yet sometime near the end of the century, censors cut a section from The Secret History of the Mongols, leaving a single tantalizing quote from Genghis Khan: â€œLet us reward our female offspring.â€ Only this hint of a fatherâ€™s legacy for his daughters remained of a much larger story. The queens of the Silk Route turned their fatherâ€™s conquests into the worldâ€™s first truly international empire, fostering trade, education, and religion throughout their territories and creating an economic system that stretched from the Pacific to the Mediterranean. Outlandish stories of these powerful queens trickled out of the Empire, shocking the citizens of Europe and and the Islamic world. After Genghis Khanâ€™s death in 1227, conflicts erupted between his daughters and his daughters-in-law what began as a war between powerful women soon became a war against women in power as brother turned against sister, son against mother. At the end of this epic struggle, the dynasty of the Mongol queens had seemingly been extinguished forever, as even their names were erased from the historical record.. One of the most unusual and important warrior queens of history arose to avenge the wrongs, rescue the tattered shreds of the Mongol Empire, and restore order to a shattered world. Putting on her quiver and picking up her bow, Queen Mandhuhai led her soldiers through victory after victory. In her thirties she married a seventeen-year-old prince, and she bore eight children in the midst of a career spent fighting the Ming Dynasty of China on one side and a series of Muslim warlords on the other. Her unprecedented success on the battlefield provoked the Chinese into the most frantic and expensive phase of wall building in history. Charging into battle even while pregnant, she fought to reassemble the Mongol Nation of Genghis Khan and to preserve it for her own children to rule in peace. At the conclusion of his magnificently researched and ground-breaking narrative, Weatherford notes that, despite their mystery and the efforts to erase them from our collective memory, the deeds of these Mongol queens inspired great artists from Chaucer and Milton to Goethe and Puccini, and so their stories live on today. With The Secret History of the Mongol Queens, Jack Weatherford restores the queensâ€™ missing chapter to the annals of history. No comments for "[PDF] The Secret History of the Mongol Queens: How the Daughters of Genghis Khan Rescued His Empire".